Holidays for disabled children and young people with additional needs need good planning. So our page offers top tips from parents on getting away and minimising stress at airports as well as companies offering accessible holiday accommodation. You’ll also find information about proper, accessible changing places around the UK. Airbnb has added new accessibility features and filters to help people find adapted homes and apartments that are step-free, have wide entryways for wheelchairs, lifts, roll-in showers and more. Last autumn, the company bought Accomable, the UK accessible accommodation listing company, founded by friends Martyn Sibley – who lives in St Ives in Cambridgeshire – and Srin Madipalli. Srin is now Airbnb’s Accessibility Product and Program Manager. Fancy a holiday at the seaside? Eddie’s (formerly Cambridgeshire Mencap) runs a fully-accessible six person holiday home at Heacham on the Norfolk Coast. And is now open for 2018 bookings, from end of March to October. More UK airports, including are offering assistance programmes for families needing support and quick boarding and some offer wristbands and lanyards to passengers and families so that they can be more easily identified by staff. Birmingham also has an autism assistance video. Proper changing facilities – find one on your travels. Travelling with a child or young person who is severely disabled? Standard accessible toilets don’t meet the needs of over 250,000 people in the UK. Changing Places toilets, on the other hand, have a height-adjustable, full-sized changing bench and hoist. And there are now 1100 of them around the UK. Find a Changing Places facility — including UK airports. 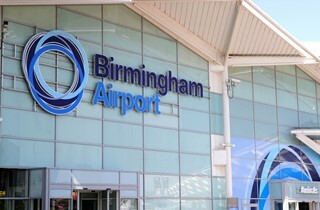 “Cannot recommend Autism Assistance at Birmingham Airport highly enough. Offers guaranteed adapted rooms, mobility equipment hire and transfers. 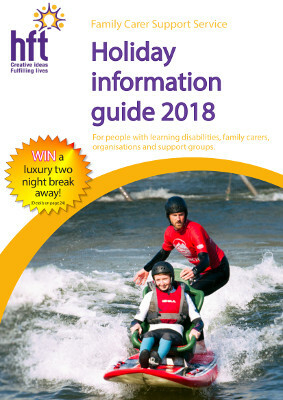 The 2018 guide, available to download online, offers lots of practical ideas and help for breaks at home and abroad, including getting help at airports, mobility equipment hire, accessible days out, walks and cruises. It’s been put together by the Family Carer Support Service, which provides free advice and support to family carers who have relatives with learning disabilities.